Underpinning the electricity industry in New Zealand is a national grid of high voltage conductors on which we rely for a secure and continuous supply of electricity. And behind the durability and performance of these conductors is a cable manufacturer committed to ensuring that all of Transpower’s new lines will last the 40 to 50 years expected of them. Recent innovations by Prysmian New Zealand are providing Transpower greater confidence in the longevity of its conductor assets and the grid owner’s commitment to New Zealand of a secure electricity supply. A significant threat to the ability to supply electricity securely is corrosion damage to the overhead conductors caused by salt-laden coastal air which can shorten conductor life. 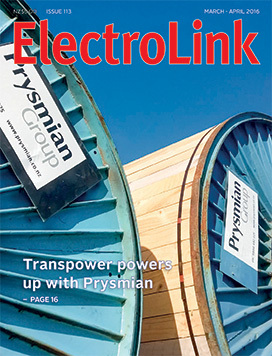 Thanks to an advanced greasing technique developed in 2013, Prysmian is able to provide Transpower with fully greased conductors, which reduces the risk of these conductors corroding or ageing prematurely. Last year became the year of the hoverboard when this new personal transport device shot to stardom as the most popular Xmas toy and lifestyle accessory. Inept celebrities chose the so-called hoverboard as the vehicle they would most like to fall off, and sales around the world exploded. However, it wasn’t an explosion of sales that caught the attention of electrical regulators, it was the explosion of the hoverboards themselves that caused these self-balancing scooters to rocket into the hall of fame as one the most unsafe consumer electrical devices ever released on the market. Hoverboards run on lithium-ion battery power and are driven by leaning forward or back like a Segway, or by tilting a foot panel to turn. The self-balancing effect is achieved by gyroscopes that help keep riders upright. How different manufacturers charge these devices or assemble their battery packs appears to be the problem, resulting in a backlash of prohibitions, such as airlines banning them from flights. Changes needed to keep the Electrical Contractors Association relevant and ensure its ongoing success are now being implemented by the Ecanz national office. These changes have been driven by the Ecanz board following its inauguration two years ago and are part of a strategy to develop Ecanz as a more professional organisation, both in its advocacy on behalf of members and also in the value of the services it offers each member to further their success. Ecanz CEO, Neville Simpson, says the strategy is designed to re-invigorate the membership with stronger engagement and attract new and younger members to carry the industry forward in the future. Installers and suppliers of alternative energy solutions and time-of-use power management solutions could be the long term beneficiaries of an Electricity Authority review of electricity distributors’ power pricing structures. The Electricity Authority (EA) has sent a clear message to New Zealand’s 29 distributors that electricity pricing structures need to change to keep in step with and encourage the uptake of PV solar, battery storage and time-of-use (ToU) metering and other smart energy management applications. It says that unless pricing structures change to reflect the real costs of distribution, consumer uptake of alternative generation will further increase. It says this is an unnecessary investment and has the potential to devalue the distribution sector’s asset base and result in non-solar households paying more for their electricity. One of the largest suppliers of industrial automation products in the world is now entering the New Zealand market for the first time under its own brand. For many years, innovative products designed, created and manufactured by Delta Electronics have found their way into local industrial plant, but always under the brands of other international automation suppliers that Delta manufactures for. While this manufacturing support for automation OEMs continues today, Delta is now introducing its own branded solutions to New Zealand under an exclusive supply agreement between Delta Energy Systems Australia and Auckland-based Custom Controls Ltd. 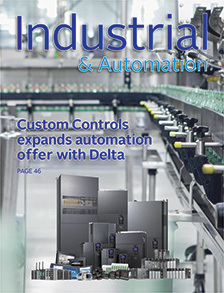 Managing director, John Sullivan, says Custom Controls now represents Delta in New Zealand and offers a range of Delta AC motor drives, servo motors and drives, PLCs, high-speed motion control systems, HMIs, text panels and many other controls networkable in the company’s industrial Ethernet solutions. The ability to apply a unique identifying code to every processed or manufactured product is now possible using ‘Internet of Things’ technologies. This mass serialisation, as it is known, is becoming an issue for systems engineers when there is a need to integrate assigning and marking systems with plant level automation. Driven by customer and consumer expectations, there is an increasing demand for manufacturing level information to be made available to consumers in a timely manner. The use of 2D barcodes or QR codes on food products as a means of delivering this information is creating a need for automation and information systems integration for manufacturers. Mass serialisation or product authentication systems as they are also commonly called, generally use proprietary cloud-based databases to store manufacturing, quality, material and marketing information that can be accessed via smartphone applications from markets anywhere on the globe. From a manufacturers marketing perspective these systems are of high value as they can also give direct insight into who is buying their product, what they are using it for and getting direct customer feedback, both good and bad. 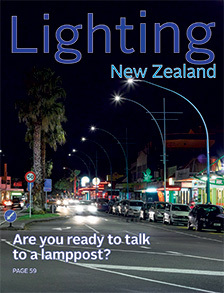 Are you ready to talk to a lamppost? If you drive into a lamppost in town in the future, chances are it’s going to be a lot more pleasurable experience. A camera installed in the pole will confirm you have now occupied the adjacent parking space and flash a light to alert approaching drivers not to try and do the same. With the pole bent over your roof you should still be able to use its wi-fi link to download a movie while you sit back and wait for someone else to turn up and disengage your vehicle from the city’s wonderfully efficient LED street lighting network. But best of all, you will be able to plug your wonderfully efficient electric vehicle into the pole’s EV charging outlet, so when your car is picked up by the tow truck, it will be charged and ready to go.